Dr. Cynthia Wang was our guest speaker at our annual event and joined us via video link from Dallas, Texas to present an update to our Transverse Myelitis Network members across Australia and New Zealand. Dr. Wang is currently a James T. Lubin fellow under the mentorship of Dr. Benjamin Greenberg at the University of Texas Southwestern and Children’s Health. 1. Learning about the disease – What do we now know? An overview of Transverse Myelitis, CAPTURE study, Acute Flaccid Myelitis, MOG antibody syndrome. 2. Finding treatments for the disease – What can we now do? NMOSD drugs, Remyelinating drugs, Remyelinating stem cells. 3. The Transverse Myelitis Association: Eclipse Fund, Family Camp. 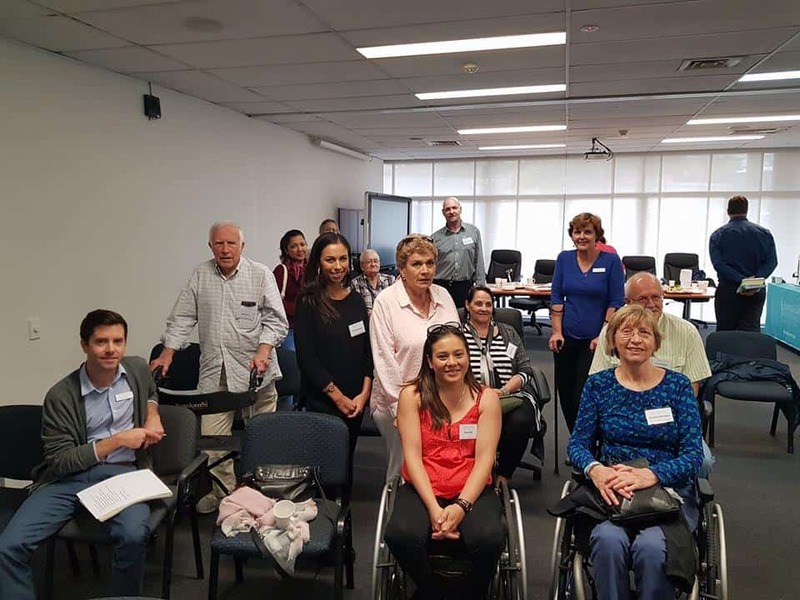 Sixteen members and partners attended in-person at our Brisbane office along with five members joining us via their home computers. Dr. Wang explained the nervous system could be quite complicated and gave us an analogy about the spine being a highway connecting the brain to the muscles that control the body and the nerves that produce sensations. A question and answer session brought some interesting questions from both the in-person audience and the online participants. Lunch and networking were enjoyed by all. Three new members joined us for the first time and were welcomed by long-standing members who attend every year.